Yesterday we reported that Gloria Govan’s ex-fiance Matt Barnes accused the Basketball Wives star of cheating on him with his friend. Although Gloria did not exactly deny these allegations, she was livid at his statement and released her own statement (via Twitter) about Barnes and his alleged romantic relationship with actress Eva Longoria. So Matt’s at it again I see. Whatever he feels like he needs to say to justify our separation is on him. Obviously his relationship with Eva is important enough to bash me. So I wish him and her nothing but the best. And I will continue to focus. Well Gloria, did you smash the homie or not!? That’s what everybody wants to know! Uh Oh! 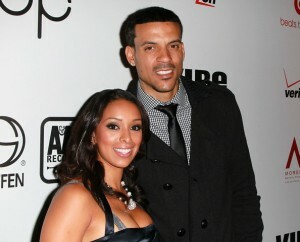 Matt Barnes claims former fiance Gloria Govan had an affair with his friend! Lakers forward Matt Barnes released a statement (via Twitter) Wednesday about his breakup wtih Basketball Wives LA star Gloria Govan in which he says that she cheated on him with one of his friends (maybe Jackie Christie isn’t a liar)!